AUGUSTA, GA (December 6, 2018) — Peach State Federal Credit Union has partnered with Glasgow’s National Health Service (NHS) Credit Union since 2016 as part of an initiative to unite and strengthen credit unions throughout the world. 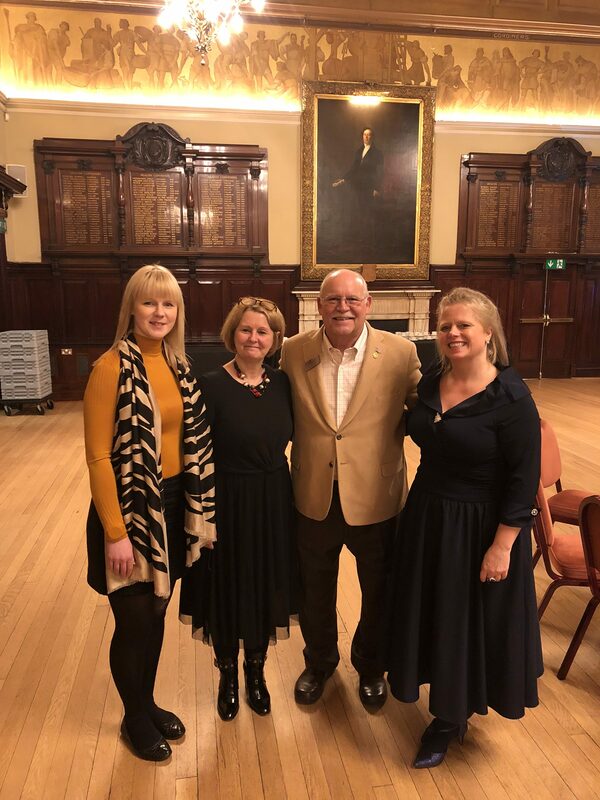 Peach State’s President/CEO, Marshall Boutwell, recently traveled to Glasgow, Scotland to help celebrate NHS’s 20th anniversary. These partnerships offer credit unions from different countries the opportunity to cooperate on a variety of projects as well as exchange information, expertise and experiences that will benefit each credit union and their respective members. Peach State entered into their first international partnership with a Polish credit union in 1996. The relationship has had such a positive impact on both organizations, that the decision to partner with NHS was an easy one. Peach State is a $507 million credit union that serves almost 60,000 members in Georgia and South Carolina. Operating as a not-for-profit financial cooperative, Peach State’s mission is to provide quality financial services that meet the needs and exceed the expectations of its member-owners. For more information, visit www.peachstatefcu.org.